Jan 26 Prices: $46, $76, $106, $136. 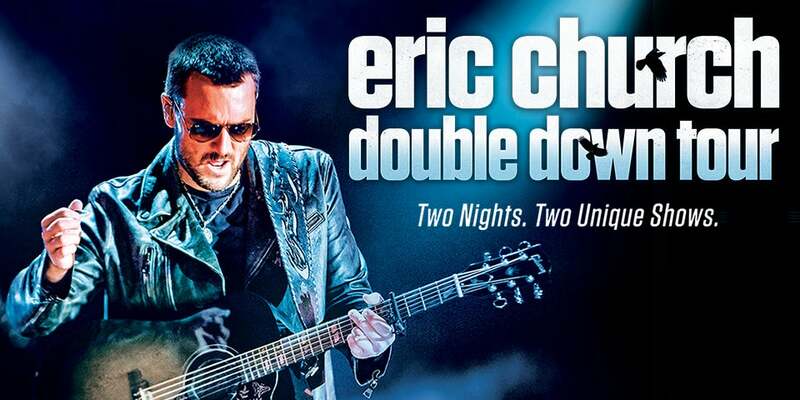 Eric Church brings his Double Down Tour to Enterprise Center for two nights, January 25 and 26! Church’s 2019 Double Down Tour will see this artist visit 19 cities to perform six albums worth of material across two very different nights of music. Tickets for this event will be mobile tickets only. There will be no box office sales.